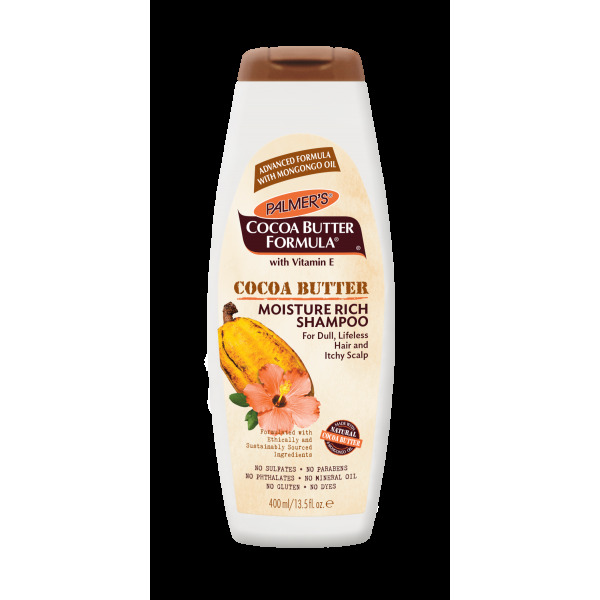 Palmer's Cocoa Butter Formula Moisture Rich Shampoo combines gentle cleansing with 100% pure Cocoa Butter and Vitamin E to moisturize and nourish hair without stripping it. 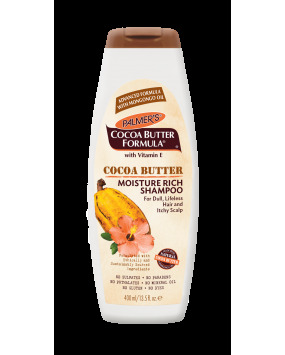 The addition of Peppermint Oil soothes dry, itchy scalp and leaves a fresh clean feeling and a mild tingle. Natrually high in Vitamin E and polyunsaturated fats, Mongongo Oil is an excellent emollient for healthy hair and fortified scalp.